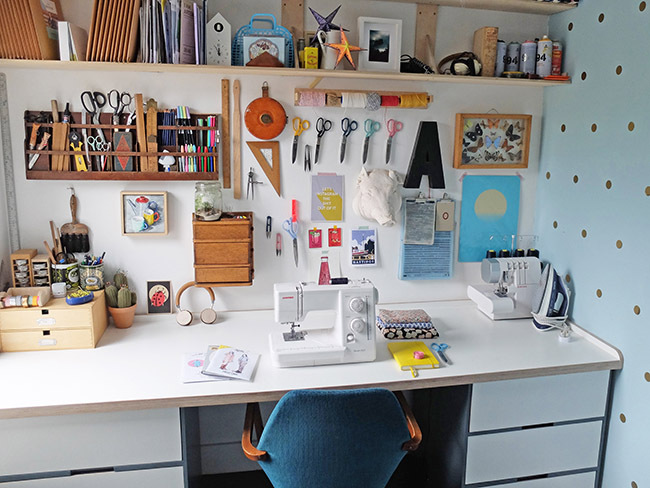 Tilly and the Buttons: Sewing Space Tours... Kate's South London Studio! 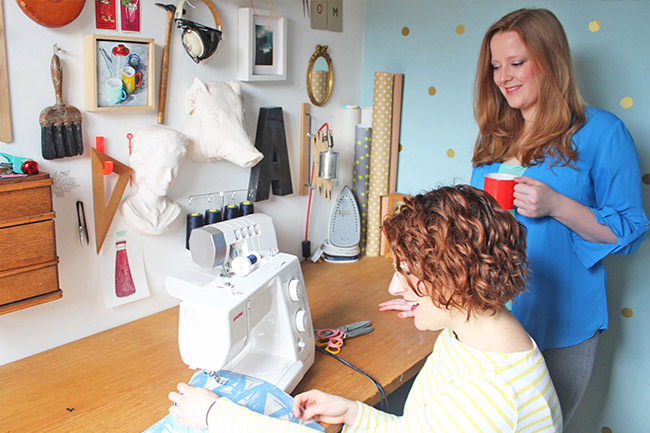 Who's ready for another Sewing Space Tour? 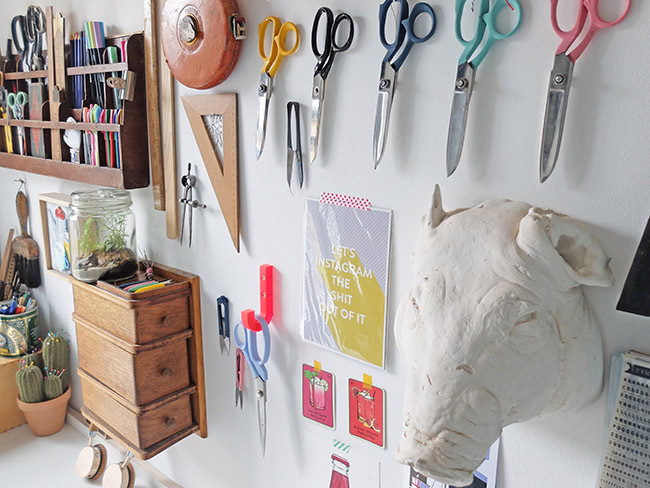 We're very excited to introduce a lovely crafter who has allowed us to snoop around her gorgeous creative space. We are huge fans of this blogger, and if you've ever watched her vlogs, then you'll recognise THAT gold, spotty wall... over to Kate for more! Hello! My name’s Kate (on the right!) and welcome to my little creative space in South London. 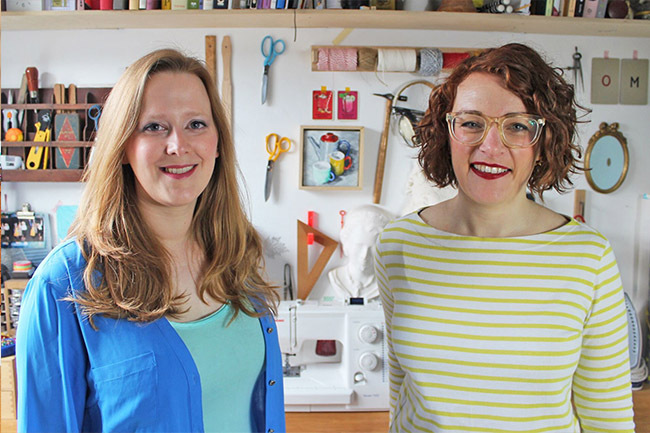 My day job is running the The Fold Line - an online sewing community - with my work wife, Rachel (pictured left). I’m lucky enough to work from home, and I spend my days immersed in blogs posts, social media and other fun projects. While all of this is sewing-related, it’s only in the evening my office transforms into my sewing space and I get to make a mess. I feel really lucky to have a dedicated place to work and make. Any Londoners reading this will understand, as space is a premium! My space does reflect my personality... organised clutter comes to mind! I really like mixing old and new and have some lovely bits that I have collected over the years. I like having lots of things on the wall and I regularly move things around to freshen things up. My spotty wall is a particular favourite. This was done in celebration of my boyfriend moving out and getting his own workspace. The gold spots are wall stickers that I bought from Ebay, the whole thing cost under a fiver and they make me smile on a daily basis! 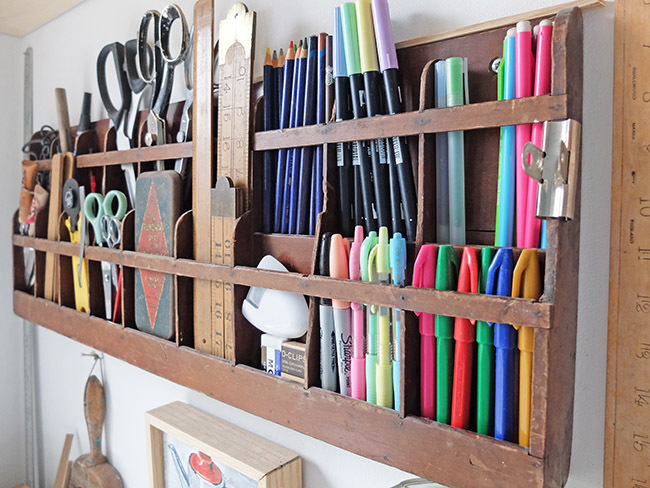 One of my favourite pieces is my pen and ruler holder that’s mounted onto the wall, it looks nice and it means that everything is easy to grab. I saw it sitting in a skip in Soho and manage to climb in and retrieve it. It wasn’t until I got home that I realised it came from a church and was originally used to display the hymn numbers on. Another thing I love is my wall mounted thread storage. It originally was part of a Singer sewing machine and was integrated into a table. It only cost a few pounds and I’ve had it for years - it’s something I never fall out of love with. Like with all makers, storage of fabric is a big issue. Most people can’t believe how little fabric I own - I only have two draws full and a strict one in, one out policy. Sewing is something I’ve always done and I can’t really imagine my life without it. When I’ve got a project in mind I like to store up my favourite podcasts and binge listen to them all at once. I’m the biggest podcast nerd and constantly on the hunt for new ones - recommendations welcome! Some of my particular favourites at the moment are Blogtacular and How I Built This for inspirational business advice. 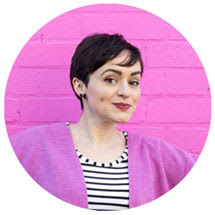 I’m also a big fan of Hashtag Authentic, and if you sew then you must check out Maker Style! I’ve found that wireless headphones are the way to go as you can still hear everything over the din of the sewing machine or overlocker! I would say that in my house, no project get finished without a gallon of tea and most definitely sweets - they are my vice. My sewing plans are constantly changing... I’m a fickle maker and as soon as something new comes out I want to make it immediately. A couple of projects I have planned are another Tilly and the Buttons Cleo dungaree dress, because lets face it, who doesn’t need another dungarees dress? (Check out Kate's sequin Cleo dungaree dress! Ooh!) 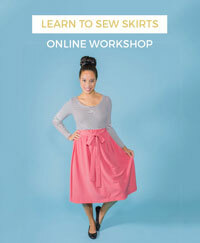 I'm also planning on making the Closet Case Patterns Kalle Dress. I hope you've enjoyed the tour of my space! 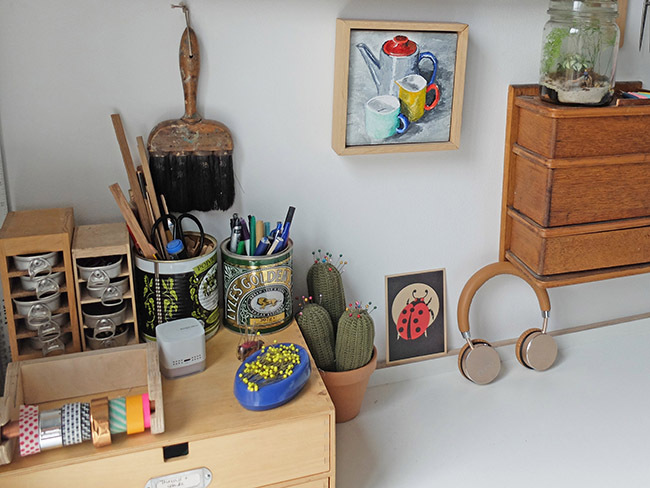 Thank you for showing us around your space Kate - it's gorgeous and we'd love to have those gold dots in the studio! 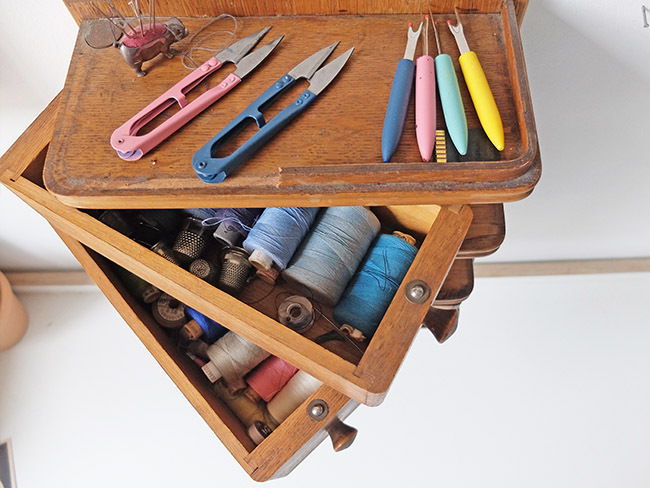 Want to peruse some of our past Sewing Space Tours? Check out the archive. 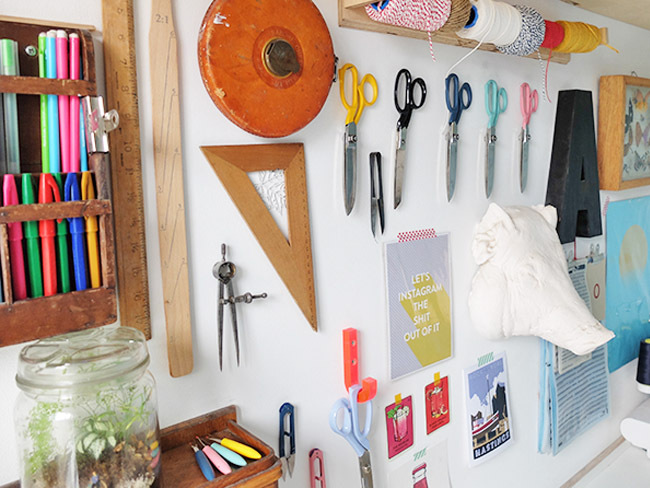 Head over to this post to find out how to submit your lovely space to be featured!